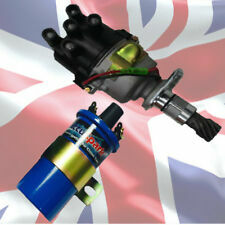 This kit will convert any Reliant model with a 4 cyl engine powered fitted with a lucas 43D or 45D type Distributor. Lucas 45D type distributors were used from early 1970's to early 1980's. With only a Strobe light required to fit, you can bring your old classic car ignition into the 21st Century. 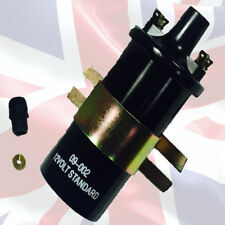 THIS IS A SET OF HIGH QUALITY HT LEAD CONNECTORS AND RUBBER BOOTS. SUITABLE FOR STANDARD TYPE DISTRIBUTOR CAP. Mainland England and Wales. 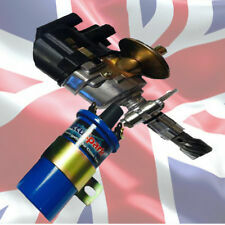 This is matched with the Sparkrite Sports Coil Giving 25% increase in spark reserve power. Also Supplied, set of Sparkrite custom build Black/Gold HT leads. Lucas 45D type distributors were used from early 1970's to early 1980's. This is a 1.6 Ohm Resistor for use with all 1.5 Ohm Ballast Coils. If there is no ballast resistor visible you may have a ballast wire inside the loom. To test for it proceed as follows ( unless the points are closed ). 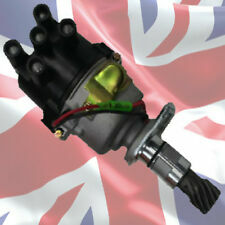 10 x 25D POWERSPARK  Electronic Ignition Kits. 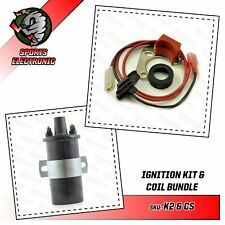 Powerspark ignition kits replace your points and condenser with a simple magnetic pickup module, simply wire the two wires back to your ignition coil and turn the key.